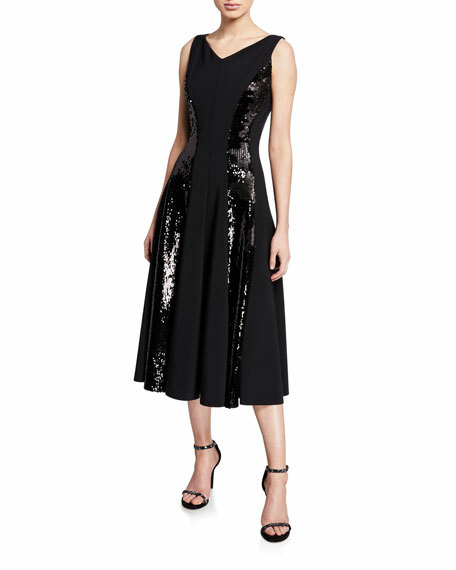 Michael Kors Collection cocktail dress in stretch tulle with embellished sequins. For in-store inquiries, use sku #2354864. 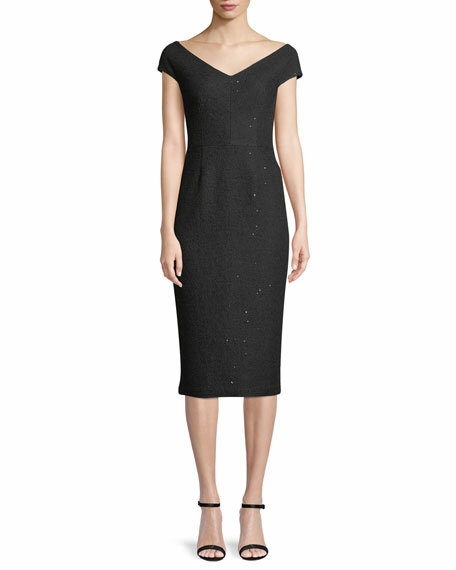 Alice + Olivia "Harmie" cocktail dress with allover sequins. Approx. 33.5"L from shoulder to hem. Draped square neckline. Spaghetti straps. Bodycon silhouette. Mini length. Exposed back zip. Shell and lining, nylon/spandex. Imported.